Biochar containing relatively high structural bound oxygen groups is preferred in direct carbon fuel cells. On the other hand, biochars with increased particle strength, hydrophobicity and high surface area are suitable candidates for the development of reusable catalysts for chemical reactions. These new high-value applications are still in their infancy, and further research and development is needed to reach commercialization. Optimum reaction conditions for producing biochar are not always the same and reproducibility is often not satisfactory, even when the same biomass is used and the same production conditions are present. This book on non-soil biochar applications aims to highlight the diversity of biochar as a multi-functional material and introduce some new and emerging applications to the wider scientific community. 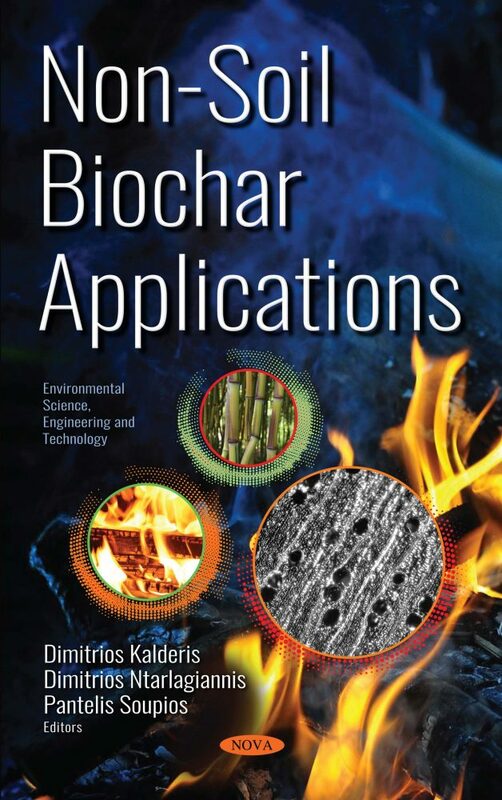 It will act as a reference document to all groups and individuals working or interested in biochar research and will be a valuable contribution to existing published literature. Keywords: Biochar, biochar composites, wastewater treatment, agricultural waste, biomass, biomass utilization, agricultural waste valorization, porous materials, adsorption.